If you want to bring aromatherapy into your life every day, you don’t have to spend hundreds of dollars for expensive sessions or consultants. Candles are a wonderful way to bring aromatherapy into your life. 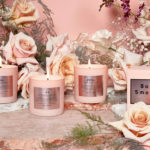 Quality scented candles are especially good for this, as manufacturers of these candles often use natural fragrances and scents – just like your favorite aromatherapy oils. 1) It’s less messy. Toying with small vials of aromatherapy oils often leads to spills and frustrations. With luxury scented candles, there’s no problem with mess. You can just light a candle and start breathing in the rich scent as your worries melt away. 2) It’s easy. Lighting a candle is much easier than trying to combine different aromatherapy oils. If you need more than one scent, you can simply light a few candles. It literally only takes seconds. 3) There are so many candles to try. 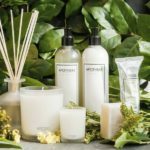 Candle manufacturers make an endless array of luxurious scents, including wonderful scent combinations that can help soothe you and entrance you. 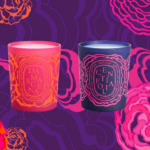 For example, if you want to invigorate yourself with a citrus scent, the Baroness von Neumann Fete Candle combines scents of navel orange, Seychelles cinnamon, Zanzibar clove, Norwegian pine, Indonesian patchouli, and amberwood for an incredible scent sensation. 4) Candles are portable. 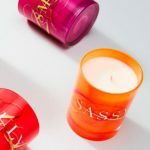 You can easily pack your candles into your luggage when traveling and can bring them with you to your lake house, home, or anywhere else you may need to unwind. 5) Candles engage all your senses. 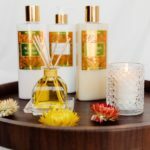 Aromatherapy oils work by scent, but luxury candles deliver a dose of beauty, fragrance, and light. You can light them by a bath for a complete experience in de-stressing and pampering. 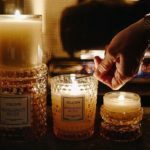 You can even meditate with luxury scented candles to enjoy even more powerful benefits. 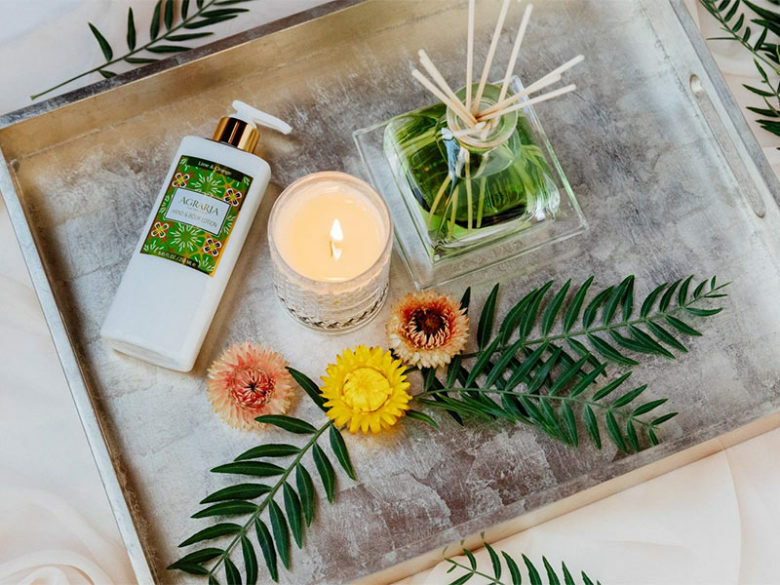 For example, light the beautiful Agraria Balsam Crystal Petite Candle to create a beautiful soft light and to surround yourself with notes of balsam, Californian redwood, French sage, and white flowers. 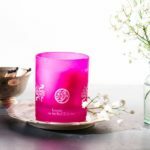 The American Society of Perfumers selected this candle as the Best Home Fragrance of the Year in 2005, and the beautiful glow of the candle, the stunning glass jar, and the scent will pamper your every sense. 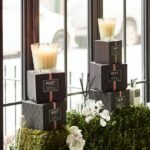 6) The makers of luxury candles now offer an array of products to help you surround yourself with the fragrances of your choice. Diptyque room sprays, for example, can be used on any type of fabric, including pillows and curtains. A few squirts are all it takes to transform any room into a wonderful haven of scent. Diptyque room sprays are also very portable, so they are perfect for your trips to the cottage or for traveling (when you might need to freshen up that hotel room).